Clovis, CA – For the first time in fifteen years and just the third time in the 100 year history of the CIF Championships, teammates stood on the podium as State Champions for the shot put and the discus. 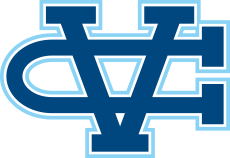 It was a historic day for the Valley Christian Warriors that not only saw Elena Bruckner and Ronna Stone win state titles but also finish second in the state in the team standings. Ronna Stone's journey to the top of the podium is not one without challenges. A two-sport athlete, Stone played basketball her first three years of high school and would often miss the first 6-weeks of training due to late runs in the playoffs. Her talent was apparent from the beginning, throwing 36-2 in the shot put as a freshman she went on to qualifying for the State both her sophomore and junior years n the event. Once it was time for Track she was all in. The first two years emphasis was on the shot put but last year Stone began to find success in the discus. Not breaking 100 feet until her junior year the improvement is impressive: over 70 feet in two years. 2014 was a breakout year, ending the season as the top ranked discus thrower in the section. However the first big challenge came at the CCS Championship where she failed to advance to the State meet finishing fifth in the CCS Championship. It was a defining moment. Working hard in the off-season Stone came into the 2015 season fit and with a purpose. Opening with a personal best in her season debut, she went on to show steady improvement throughout the season. Finishing second in the Arcadia Invitational, she climbed the state rankings. The momentum continued through to the WCAL Championship. While Bruckner went on to throw the national leading mark of 182-8, what the results didn't show is a huge throw from Stone that sailed just left of the sector. That momentum carried into the post-season where Stone finished atop the standings in the CCS Trials and went on to win her first CCS title. Ronna Stone saved her best for last. Entering the state final the title was up for grabs. After a strategic and conservative first throw (to assure advancing to the top nine final) Stone moved into the lead with a second round throw of 155 feet, 5 inches. That throw would hold as the winner, but it was not her furthest. Entering the ring already the Champion there was nothing to lose. Released perfectly, the crowd reaction told the story: it was going to be a good one. It was her last throw in her last meet and it was also her best: 161 feet, 9 inches. While Stone was leading and looking strong things were not so certain for Elena Bruckner. Dealing with a back issue the last three weeks of the season she was frustrated after the first set of three throws. "It's not so much the pain as it is I just can't do anything," Bruckner revealed. The national leader in the event, she has been battling a sore back for the past three weeks which proved to be a huge handicap in the twisting, spinning event. Thinking of the upcoming shot put where Bruckner was a heavy favorite, Coach Rolle considered not taking any more throws and saving it for the next event. She wasn't having it, went into the final rounds and sent it out 154-9, just 8 inches off the lead. Her efforts would prove clutch in the team standings. "I'm not making excuses," Bruckner later told Glenn Reeves of the San Jose Mercury News. "I'm trying to deal with the circumstances." MileSplitCA made the "Not-So-Bold Prediction" that Elena Bruckner would win the shot put and rightfully so, entering the state meet she was undefeated in the event and the national leader. Entering the state meet with a personal best over four feet from the nearest competitor she embraced the role as the heavy favorite. But like Stone, the journey to the top has not been without plenty of obstacles to overcome. A two-sport athlete herself, Bruckner is a varsity volleyball player in the fall and has also played on a club team simultaneously. It was important for her to honor her commitment to her club team through the end of the summer which meant long days. Battling tightness in her back these last few weeks it took more of a toll in the discus. Bruckner the week prior hit a CCS record 53-5.5 in the shot put setting her apart from the field. Bruckner finished their freshman year with a mark of 36-2 in the shot put. Since that inaugural season Bruckner has flourished, improving nearly ten feet over the next year she finished fourth in the State as a sophomore and set herself out as the one to watch the next season. But it was her season debut of 49-0 that sent the message she was a serious contender for the state title. Entering the state final a heavy favorite Bruckner found herself in a back and forth battle with Nia Britt of Notre Dame (SS) through the first two rounds. She knew it wasn't going to be easy, but there was little doubt a big one was coming. And it did. Her third throw that stood as the winner, a mark of 50-2.5. "Last year I set the goal of throwing over 50 feet to win the state meet so getting that mark added validation to whole season," Bruckner said. Coming off a state championship can put you in a good mood, but for Stone there was business to attend to. In the running for the team championship every point was vital. It was her third trip to the state meet and her first to make the shot put final. Finishing eighth with a throw of 43-1.5, those points helped secure the Warriors second place finish as a team. The motivation to perform well was entirely driven to excel as a team. Scoring 27 points with just two athletes the Warriors moved from 5th to 2nd by the conclusion of the Shot Put. Representing over 40 athletes back home, hoisting the trophy after the meet proved to be the highlight of the evening.